Doug Lynam was a Benedictine monk for twenty years. The suffering he saw from money stress was heartbreaking. To help the monastery, their guests, and his teaching community Doug became a financial advisor. He pulled his monastic community out of bankruptcy and put it on a solid financial ground, counseled countless clients for a decade as a pro-bono financial planner, and built a successful financial services company to manage institutional retirement plans. All from the confines of a monastery. Now, with his upcoming book, From Monk to Money Manager: A Former Monk’s Financial Guide to Becoming a Little Bit Wealthy – And Why That’s Okay (Thomas Nelson, March 26, 2019), Doug’s goal is to help as many people as possible manage their money effectively – according to their highest values. Money management, done correctly, is a spiritual practice. 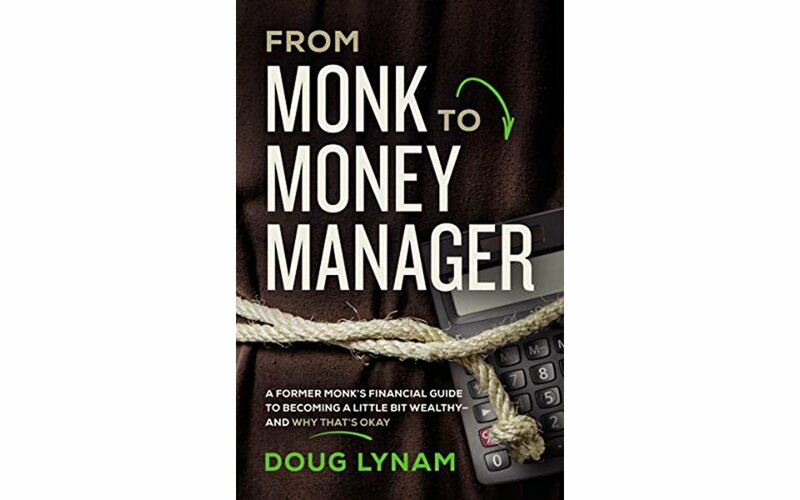 Doug devotes a chapter in From Monk to Money Manager to taxes because if you don’t pay attention to them, they will eat away at your income, savings, and investment returns. The wealthy pay attention to tax policy and taxes because they know what taxes can do to a person’s net worth. They learn to play the game well, know how to legally game the system and save a fortune. Always file your taxes by April 15th ! Even if you don’t have the money to pay them. Never, ever lie! You can stretch & bend the law, but don’t break it. Document everything! If you don’t track an expense, you can’t deduct it. You really can prepare your own taxes! Good software is available for all but the most extreme situations. Doug also offers tips & tricks to avoid overpaying. He explains the many legal ways to minimize your taxes and maximize the income you keep. Doug reveals that the tax game is designed to help make wealthy people wealthier and to win this game, you need to start thinking like the wealthy. With Doug’s background and perspective as a former monk, he understands perhaps better than most that God doesn’t expect us to live in poverty. The truth is, we need to be a little bit wealthy – fiscally wise and financially strong so we can help others and make the world a better place. Author: Doug LynamDoug Lynam, Director of Educator Retirement Services at LongView Asset Management in Santa Fe, New Mexico, is a self-proclaimed Suffering Prevention Specialist. As a former Benedictine monk, Marine, and teacher, he strives to bring the highest spiritual ideals into alignment with the best of money management techniques in an easy-to-learn manner.